A little something to help the Germans along. From my previous posts you see that I have built something to put the panzers in to get them across the channel. But those barges won’t move themselves, so what to do? I found on Amazon these models at a very cheap price so I snapped up the last two. My game is in 6mm (1:285/1:300) and these models claim to be 1:400, but with a little tweaking I have produced a slightly smaller steam tug about 26m in length. The crew will need to duck to enter the bridge, but no more so than with many of my model houses. My models wear their steel helmets mainly to avoid concussion from low doorways. The kit is made of fewer than twenty pieces. I cut the hull down to the waterline, omitted some lights, moved the mast and replaced the funnel with one made of spare sprue with one end drilled. For added effect I scored planks into the deck. Sorted. One done, one to go. 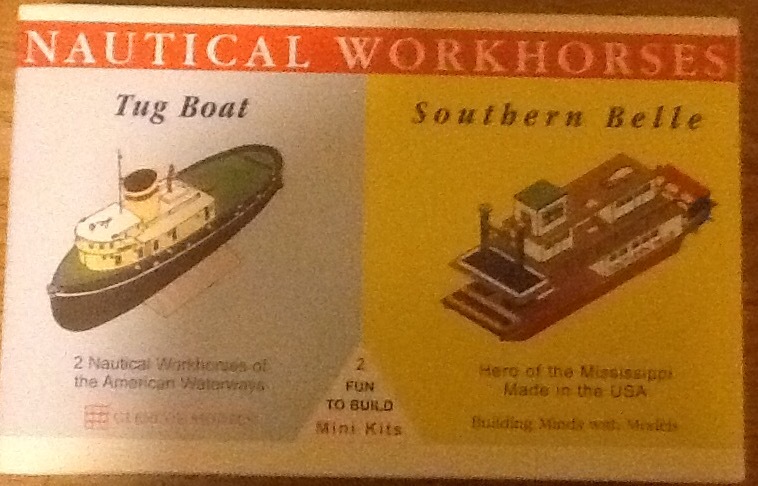 And as a bonus I have two river boat kits to transport my ACW troops. 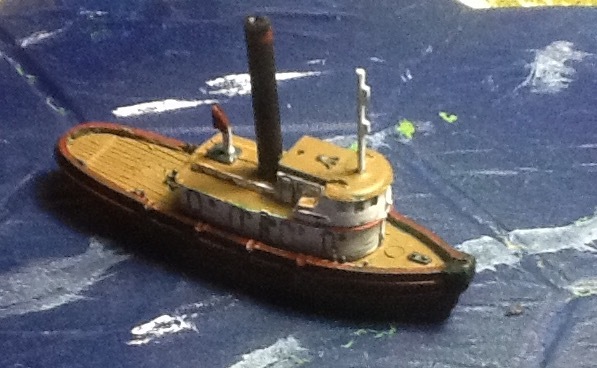 On second thoughts, I may be able to combine parts from the tug and the river boat to make a different design.